It's almost strawberry season in Maine! I look forward to few fruits and vegetables seasons with the same enthusiasm as strawberries. Strawberries mark the beginning of summer and the change from vegetables that require little light to grow, like lettuces and radishes, to those that need hours and hours of full, strong sunlight, like tomatoes, cucumbers, and peppers. That strawberry season is just around the corner means I have to clean out LAST season's strawberry harvest from my freezer. It seems kind of silly to buy all the strawberries and then just keep them in the freezer for a year, doesn't it? But here's my secret (well, aside from loving a stash of hoarded fruit like a squirrel): I love making jam from frozen fruit. Using frozen fruit allows you to jam when it's not so hot in your kitchen or when you're not as busy as we all are in summer in Maine. Plus, you can pair fruits that aren't normally in season together, like my favorite, triple-berry jam (strawberry, raspberry, and blackberry) and strawberry-rhubarb jam. 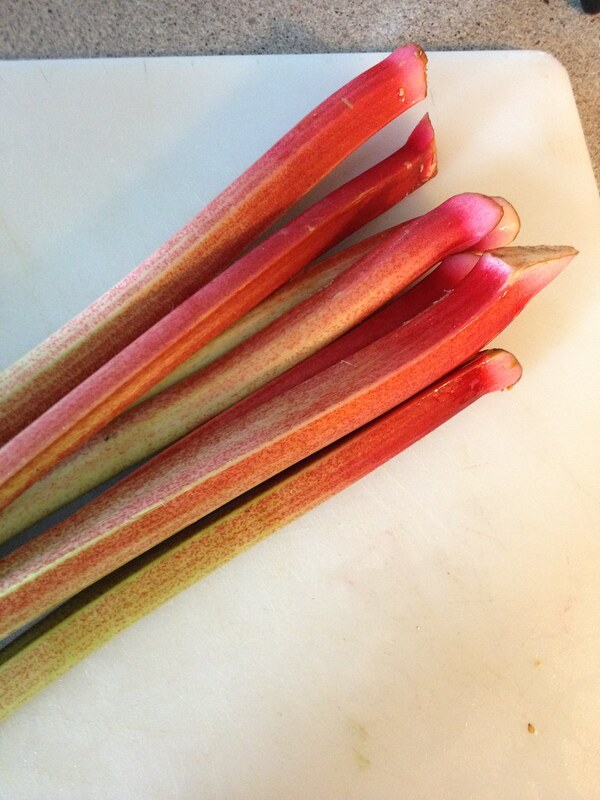 So I used about three quarts of frozen strawberries with some fresh rhubarb, purchased at the Portland Farmers' Market (recipe to follow). I had Sharon over to help and she brought 1-1/2 pints of honey - 1 pint from Overland Apiaries in Portland and a more mild-flavored 1/2-pint from Caledonia Spirits in Vermont. Together, the two types of honey added a nice flavor. If you're going to use honey in your jam, get a stronger flavored honey, so the taste comes through. Mild honeys will add sweetness, but the flavor will get lost in the relatively strong fruit flavors. Of course I used Pomona's pectin; I've sung the praises of the versatile gelling ingredients many times before on the Blueberry Files (hot pepper jam, lavender honey strawberry jam). Pomona's pectin is the only commercially-available pectin that allows you to use low/no-sugar or an alternative sweetener like honey. Pomona's can be found at Whole Foods Market in Portland and independent health food stores like Lois' in Scarborough or Royal River Foods in Yarmouth. And I saw it once at the Commercial Street Rosemont Market. Of course, I'd be remiss if I didn't recommend friend Allison Carroll Duffy's branded cookbook Preserving with Pomoma's Pectin to help you understand the particulars of jamming using Pomona's. 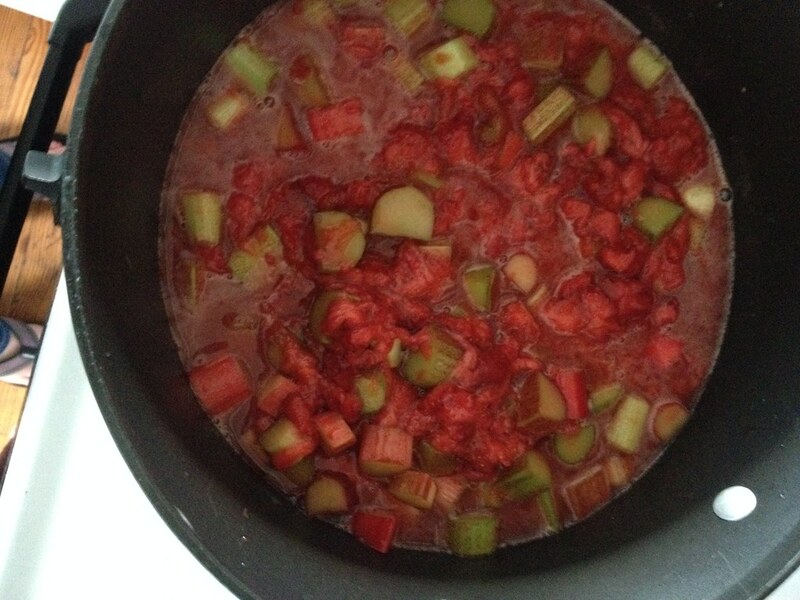 In a large stock pot, combine fruit and calcium water. Heat to a boil. Meanwhile, mix together pectin powder and honey in a bowl. When fruit mixture boils, add pectin-honey mixture and stir to dissolve. Bring back to a boil, stirring frequently. Boil for one minute and remove from heat. Pour hot jam into hot jars, leaving 1/4-inch headspace. Wipe jar rims and add two-part lids. Process in a boiling water bath for 10 minutes. To freeze, let cool for an hour and move to freezer. To use, thaw in the refrigerator and once opened, use within two weeks. 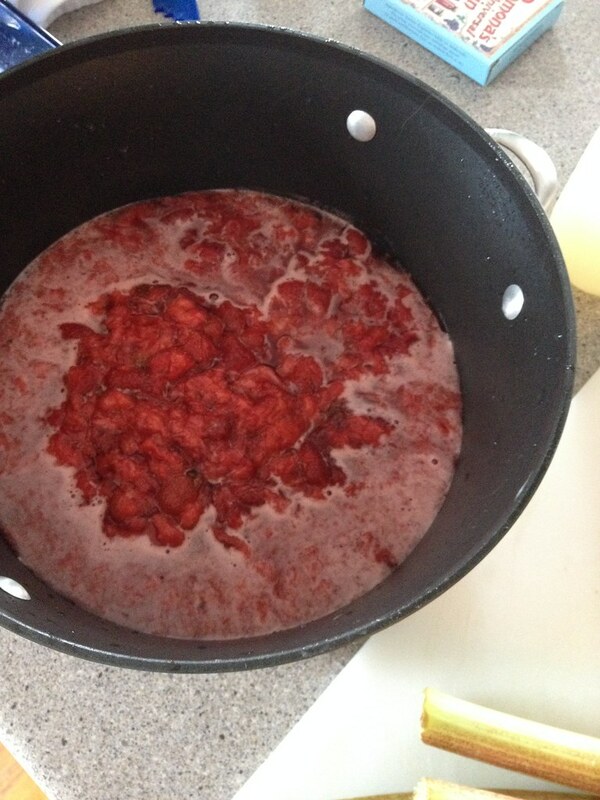 Read more about our strawberry preserving session on Sharon's MaineToday blog, The Root. After our jam session wrapped up, Sharon and I were ready to eat. We went down to In'finiti Fermentation & Distillation to try their house-made beers. I got the White El Camino ($4), an easy-drinking corn lager brewed in collaboration with new restaurant, Slab. Unfortunately, the bartender was immediately condescending to us - to the point where I almost wanted to confront him about it. If you're a bar on tourist-heavy Commercial Street, you're going to have to be a little more patient with people's questions about your beer menu. 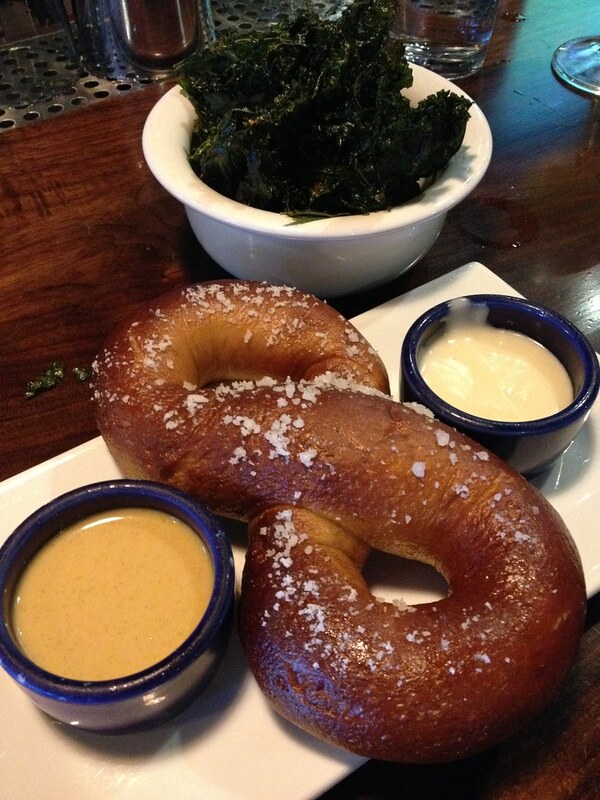 We also ordered their pretzel with cheese sauce and a spicy IPA mustard. I feel like the food was a little hit-or-miss there for a while, so I was happy to enjoy this snack, as well as our kale chips. After we got our drinks, we were happy (namely because the bar filled up and we had a variety of bartenders for our drink refills). From a bar that is owned by the same people as Novare Res, I expected much friendlier service. After In'finiti, we headed to Central Provisions, where the bartenders and servers are always so nice and patient. We enjoyed some Greek rose and amazing marinated cheese curds at the bar while we waited for a table. Everything we ate was great as usual (maybe the carrots in the carrot salad were a bit tough), especially the bo ssam chicken entree. 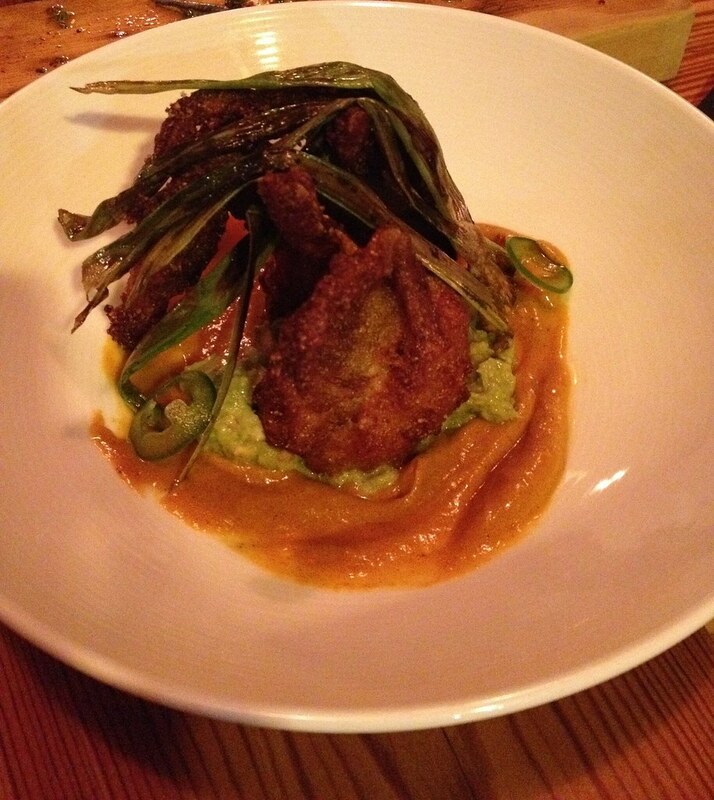 I splurged on a soft shell crab plate, over jalapeño, avocado and bacon. Being a Maryland-native, I know I am hard to please when it comes to blue crabs. I felt the delicate flavor of the crab was overwhelmed by the smoky ingredients - charred green onions and bacon. But I was still thrilled to be eating a soft shelled crab. Another true sign of summer. To learn more about the collaborative brewing efforts, as well as Slab, Portland's "it" restaurant for the summer, check out my Portland Phoenix column, "Collaborations and foraged finds," on stands now.